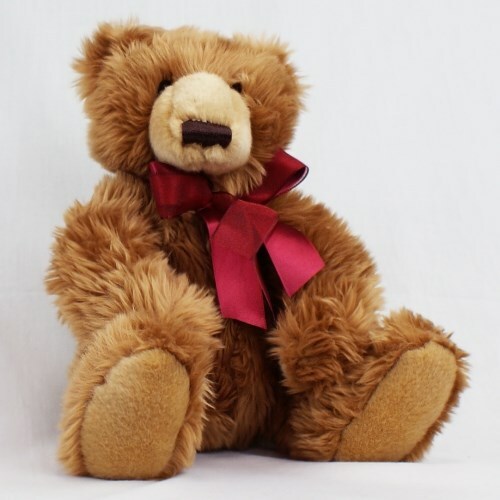 Help bring some cheer to anyone with this classic Teddy Bear. It wears a dark red bow made of satin and shimmer. This Olde Time Bear measures 15". It has long, super soft plush fur along with double-bagged bean filling, with an embroidered nose and lock-washer eyes for safety. Additional Details Soft Teddy Bears make for a great Valentine's Day or Christmas gift for anyone who loves holiday cheer. Check out our entire collection of Christmas teddy bears and Valentine's Day plush animals and see what you like!